Chloé Brière holds a PhD in law delivered jointly by the Université Libre de Bruxelles and the University of Geneva in September 2016. She holds an LL.M. in European law (College of Europe, Bruges, 2009-2010, grade “very good”) and a Master 2 in « European economic law » (Sciences Po Paris, University of Strasbourg, grade “assez bien”). 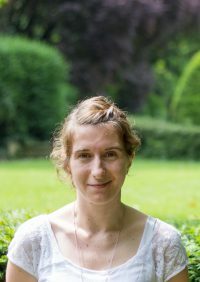 After working for two years as an academic assistant in the legal department of the College of Europe, she joined the Institute for European Studies as a PhD researcher in July 2012. She has been a member of the GEM PhD School, Erasmus Mundus Joint Doctorate “Globalisation, the EU & Multilateralism” since September 2013. After jolding positions at the Dublin City University and UNODC, she is since October 2018 “Chargé de recherches F.R.S. – F.N.R.S / Post-doctoral researcher” at the Université Libre de Bruxelles. In this framework, she conducts an extended research on the external relations of the EU in criminal matters. Her doctoral research focused on the European legal framework in relation to the fight against Trafficking in Human Beings and its externalisation outside the European Union’s borders. Her research was supervised jointly by Professor A. Weyembergh (IEE-ULB) and Professor R. Roth (University of Geneva). Her research interests include other aspects of European Criminal Law, EU migration law and the free movement of persons within the European Union. Since 2012, Chloé participates to the Introductory classes for Lawyers organised by the College of Europe (Bruges), where she teaches basic introduction to free movement of persons and European citizenship. In 2017, she was appinted visiting professor in charge of the class “International and European Criminal Law” at the Institute for European Studies, Vrij Universiteit Brussels. She also regularly intervene at the ULB in classes on international and European criminal law. Relations between the EPPO and Eurojust- Still a priviliged partnership? Study for the Committee on Budgetary Control of the European Parliament : “The future cooperation between OLAF and the European Public Prosecutor’s Office”, December 2017.